This island has been neglected for far too long and after many concerned calls to the City, we, the residents, have decide to go it alone and put our efforts into making this space beautiful. 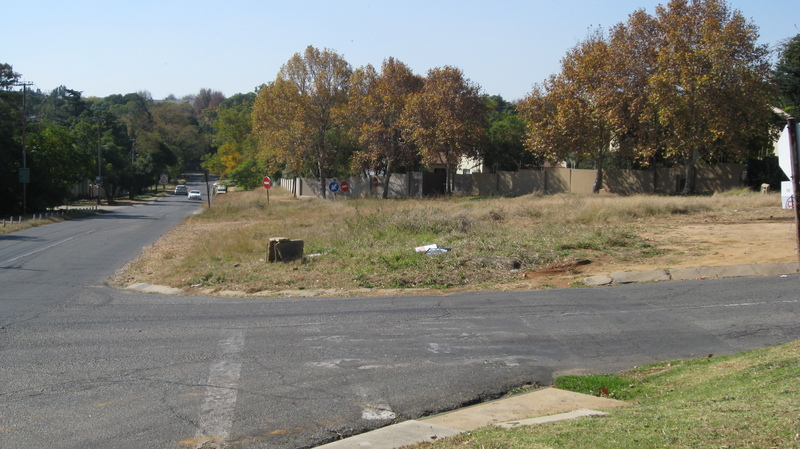 As a resident and Estate agent of Bryanston, I drive passed all the neglected pavements and spaces in Bryanston every day. One day, I decided that I was going to make it my mission to do something about it. I started working on my community project, ‘Making Bryanston Beautiful’ in the winter of 2013. I hired an unemployed gardener to work with my gardener to learn the ropes and how to use the equipment. Once Maxon was confident and showed his enthusiasm and great attitude, I hired another member of the team, and made Maxon the team leader. This project is solely financed by myself. I pick up the guys and pack all my own gardening equipment into my own vehicle and I drop off them off wherever we are working. I also provide my guys with lunch every day. I have used my own trailer to take the rubble and garden refuge to the dump. We generally work every Tuesday and Wednesday, weather permitting. We have cleaned pavements wherever we received a call for help. We have cleared away the overgrowth on a pavement outside a Retirement Village, allowing the residents to walk safely to the bus stop; cleaned the back-end of cluster complexes, weeded and cleared rubbish from many pavements in Bryanston. Our last big project was the Eccleston Island. We finished this project just before I went off to have my baby and now that I’m back from some maternity leave from community work, my team is back to continue its mission. I appeal to all residents out there to give us support to continue our good work on the Berkeley Island. We are currently preparing the land for planting. If any residents have hardly plants like Dietes (Wild irises), Agapanthus, Wild Garlic, Hen-and-chickens and indigenous trees they would like to donate, please contact me on 083 299 1575. We would be VERY GRATEFUL for a company who can donate a curb and pavement for the Bryanston Drive end of the island. Read more about this project – Making Bryanston Beautiful and the Heritage Planting Drive. Find out more about this blog site.